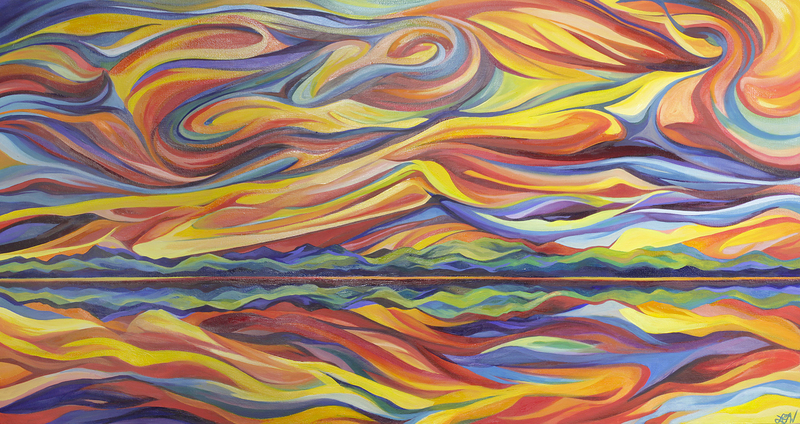 “Rose-Marigold Tango Over Lake Champlain” Oil on Canvas, 33″ x 66″. “Rose-Marigold Tango Over Lake Champlain” oil on canvas. Commissioned painting. No prints available.